Bald Head Island is one of the top summer destinations on the East Coast as it boasts rich history and picturesque beaches. It's the perfect island getaway with plenty of activities, so we've created a list of things to do on Bald Head Island in the summer to help you plan your trip. Fondly referred to as “Old Baldy,” this lighthouse is the oldest in North Carolina; it's stood for over 200 years, and the lighthouse definitely looks its age. Old Baldy reaches 110 feet and was once powered by 15 lamps. Today, it's still a beautiful sight that is iconic in Bald Head Island, so it's a must-see while you're there in the summer. Take a tour of the lighthouse and surrounding area to learn about its role in both the Civil War and World War II. You'll can also climb the 108 stairs to the top and see the most picturesque views of the beach. Climbing the lighthouse is also a great form of exercise! 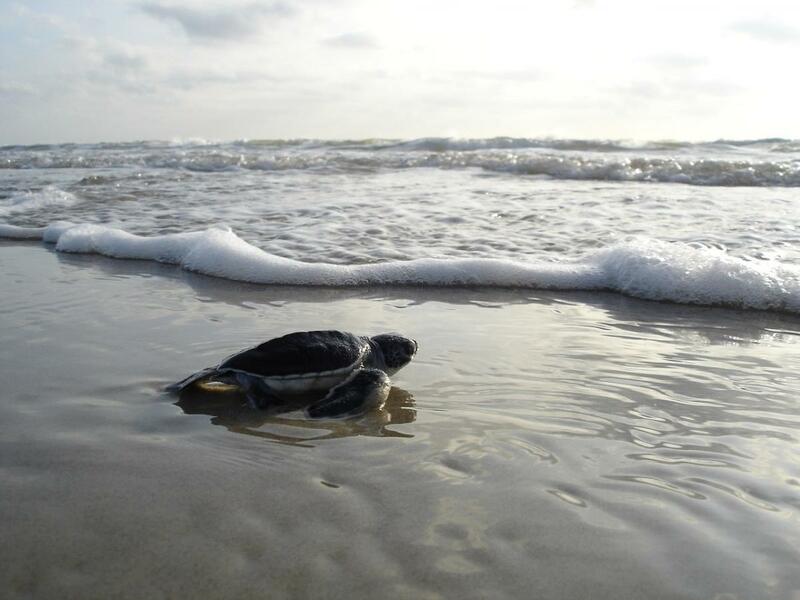 The Bald Head Island Conservancy aims to protect the barrier island and its ecosystem. One of their main goals is to educate the masses about ways we can help reduce our impact on the earth and its natural habitats. They accomplish this by offering nature tours that guide you to the wildlife hot spots and beautiful landscapes. They also offer a nighttime tour that teaches you how to use star charts and other technology. If you are an animal enthusiast, you'll enjoy seeing the island’s exquisite birds, reptiles, and sea creatures. However, one tour surpasses all others and only occurs during the summer months: turtle walks. The expert tour guides give a presentation on turtle protection leading up to showing a nesting or hatching sea turtles. This is a once-in-a-lifetime experience that you must take advantage of this summer while on Bald Head Island! Prepare for tee-off at this unique golf club in the middle of the island. The course offers challenging holes while you're surrounded by some of the best views in the state. Bald Head Island Club is situated among the palm trees and oak trees with Old Baldy peaking up into the horizon. Play a round of golf here while taking in the man-made and natural beauty on the island is a great way to pass the summer day. If you're looking for an adventure, tie up your shoelaces to walk the Kent Mitchell Nature Trail! The trail meanders through the island’s unique ecosystem, and there’s multiple trails that you can take; just make sure to at least conquer the main trail, which is easy. No matter how fit you are, you'll be able to accomplish this short 15-minute walk with incomparable views. Make sure to keep an eye out for the wildlife crawling through the area because this will be one of your best opportunities to spot the island’s inhabitants. This nature trail is one of the only areas of its kind that has yet to be plowed by construction, so check it out this summer while you're on Bald Head Island to see nature in its purest form. Dive into the canopy of trees and venture through the Bald Head Island Maritime Forest Preserve. If you need to find a place to take a jog or ride your bike, this is the best place to do it. The canopy of oaks and laurels shade you from the summer sun and add views for you to enjoy on your way. This preserve is ideal for exercising outdoors in the summer time, so escape into the trees to really appreciate the rare ecosystem of the island. On Bald Head Island, you are never truly alone as 400 years of souls and ghosts haunt the island; you cannot avoid their presence. Make sure to watch out for the Civil War soldiers and pirates who inhabit the old lighthouse and refuse to leave. The best defense against ghosts is knowing where to find them, so take the Riverside Adventure’s Ghost Walk to hear the stories of those who inhabited Bald Head Island many years ago. It’s the perfect activity for the superstitious adult and scaredy-cat kids as well as a great opportunity to learn more about the island’s history. The newest trend in water sports is SUPing (stand-up paddle boarding), and Bald Head Island’s waters are one of the best places to try it out. Whether you want to brave the ocean's crashing waves or navigate through the calmer waters of the creeks and waterways, SUPing is the perfect way to get in some exercise while still living the summer lifestyle. Check out Coastal Urge to rent your own paddle board or even join in on a guided tour through the North Carolina waters. Fishing is the ultimate summer pastime, so while on Bald Head Island, you might as well take part in the classic summertime activity. The waters host an array of species that make them a great place to cast a line. Just east of Bald Head Island, Yeah Right Charters offers guided tours to help you find the best fishing holes, so you're guaranteed to catch something. You can find mahi-mahi, wahoo, grouper, and snapper, but if you feel up to it, you can venture out into the deeper waters to find Agrican Pompano and Cobia. No matter what you choose to do, you'll having a good fishing day, especially with the help of an expert captain from the charter. Whatever vacation activities you enjoy, you can find them on Bald Head Island with endless adventures and ways to relax this summer. If you're looking for more things to do on Bald Head Island, register on 910area and connect to everything the Wilmington-Fayetteville area has to offer.